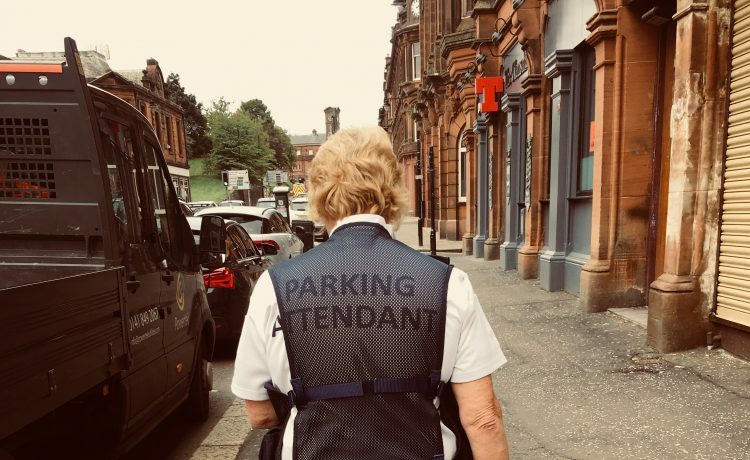 Parking Attendants are often subject to bad press or even verbal abuse, however the work they do throughout Ayrshire is invaluable. They help to keep the flow of traffic moving by keeping the turnover of spaces available on and off street, this doesn’t mean that they are constantly issuing tickets, in actual fact a lot of the time parking attendants report problems with our roads such as missing manhole covers, broken signs and damaged lines, issuing tickets is often the last course of action. Unsure where to park, or looking for directions? Then ask a parking attendant, they’re friendly and approachable and above all they walk an average of twelve miles a day, you could say that no one knows the town better than our parking attendants!